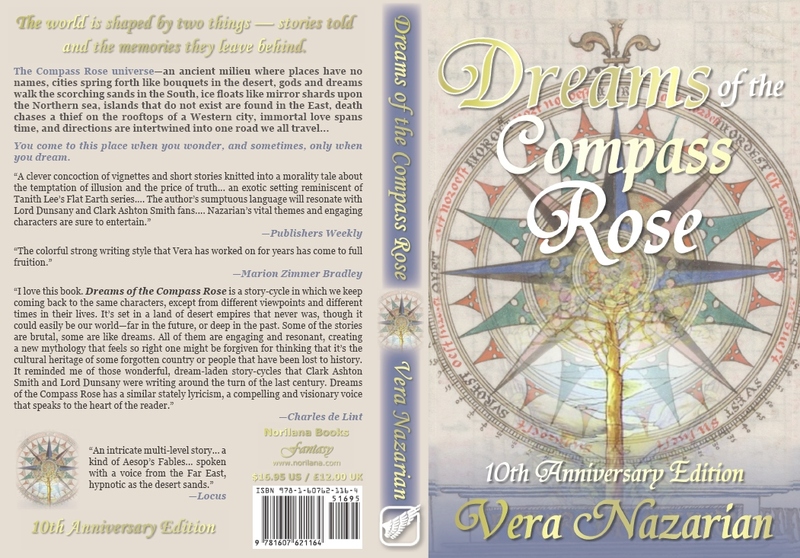 This is the 10th Anniversary Edition of the critically acclaimed mythic fantasy classic "collage novel" DREAMS OF THE COMPASS ROSE by two-time Nebula Award Nominee Vera Nazarian. The world is shaped by two thingsstories told and the memories they leave behind. You come to this place when you wonder, and sometimes, only when you dream. When a young warrior of a dark race finds himself bound in servitude to a beautiful cruel princess, his loyalty becomes entwined with something more horrifying and mysterious than endless night falling over the ancient desert. When a courageous young servant reveals her hidden wisdom to the madman conqueror of the world, her fate is joined to a nightmare suspended beyond death and outside the universe. Two souls from different timestheir destinies connected through hundreds of other lives and generations, through soft whispers of the wind, through ancient truths that lie buried in an island between worlds. Both souls enslaved through dream and desire in an endless conflict between truth and illusion. They can only be set free by the wonder of the Compass Rose. "A clever concoction of vignettes and short stories knitted into a morality tale about the temptation of illusion and the price of truth... an exotic setting reminiscent of Tanith Lee's Flat Earth series.... 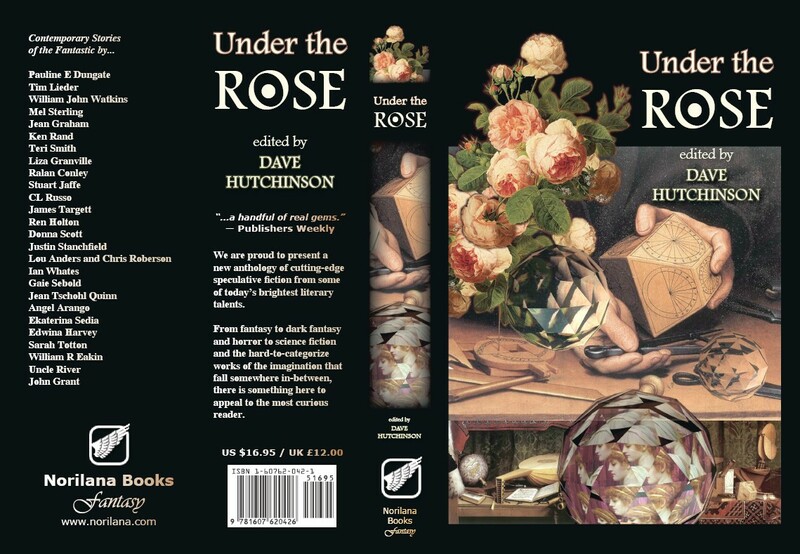 The author's sumptuous language will resonate with Lord Dunsany and Clark Ashton Smith fans... Nazarian's vital themes and engaging characters are sure to entertain." "The colorful strong writing style that Vera has worked on for years has come to full fruition." "I love this book. 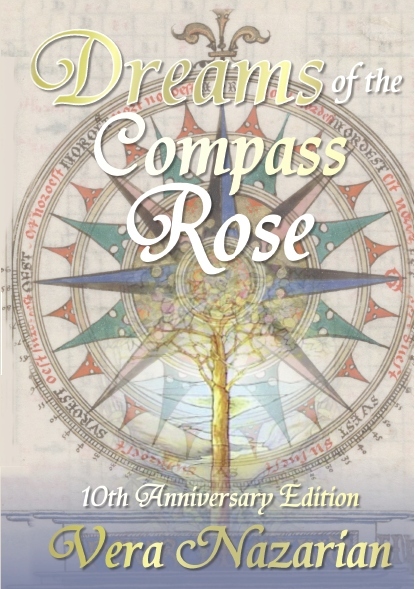 Dreams of the Compass Rose is a story-cycle in which we keep coming back to the same characters, except from different viewpoints and different times in their lives. It's set in a land of desert empires that never was, though it could easily be our world-far in the future, or deep in the past. Some of the stories are brutal, some are like dreams. All of them are engaging and resonant, creating a new mythology that feels so right one might be forgiven for thinking that it's the cultural heritage of some forgotten country or people that have been lost to history. It reminded me of those wonderful, dream-laden story-cycles that Clark Ashton Smith and Lord Dunsany were writing around the turn of the last century. 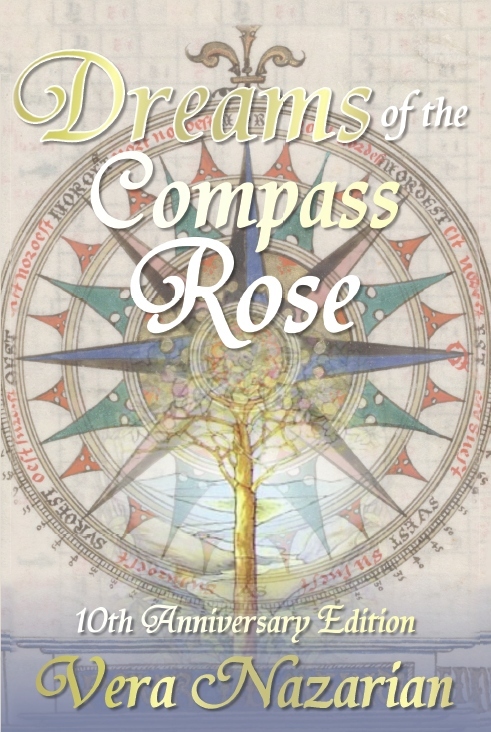 Dreams of the Compass Rose has a similar stately lyricism, a compelling and visionary voice that speaks to the heart of the reader." "Nazarian's story cycle treads the borderline between the episodic novel and the short-story collection... her imagery is rich, vivid, and memorable, not to mention being remarkable because she realizes it not in her native language, Russian, but in English.... this is a singularly appealing book by a new voice in fantasy." "An intricate multi-level story... a kind of Aesop's Fables... spoken with a voice from the Far East, hypnotic as the desert sands." 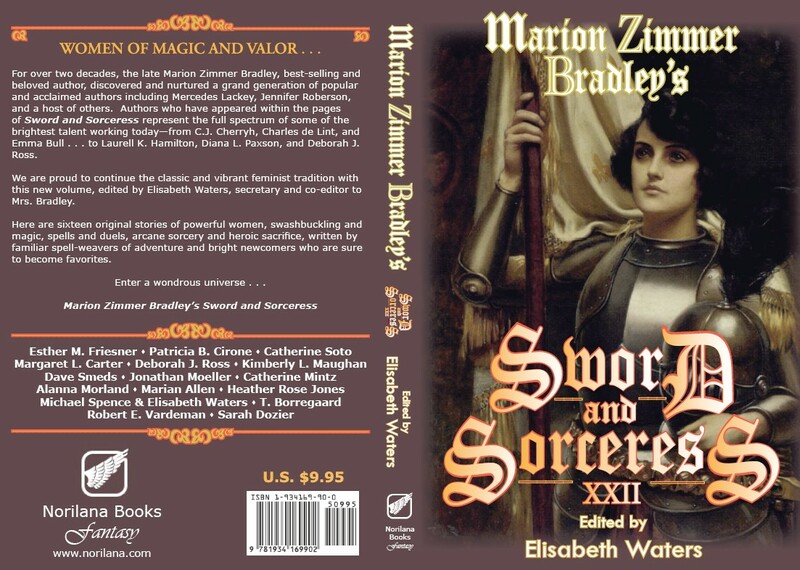 For over two decades, the late Marion Zimmer Bradley, best-selling and beloved author, discovered and nurtured a grand generation of popular and acclaimed writers including Mercedes Lackey, Jennifer Roberson, and a host of others. Authors who have appeared within the pages of Sword and Sorceress represent the full spectrum of some of the brightest talent working todayfrom C.J. Cherryh, Charles de Lint, and Emma Bull . . . to Deborah J. Ross, Diana L. Paxson, Steven Brust, and Laurell K. Hamilton. We are proud to continue the classic and vibrant feminist tradition with this twenty-sixth volume of new magical adventures edited by Elisabeth Waters, secretary and co-editor to Mrs. Bradley. 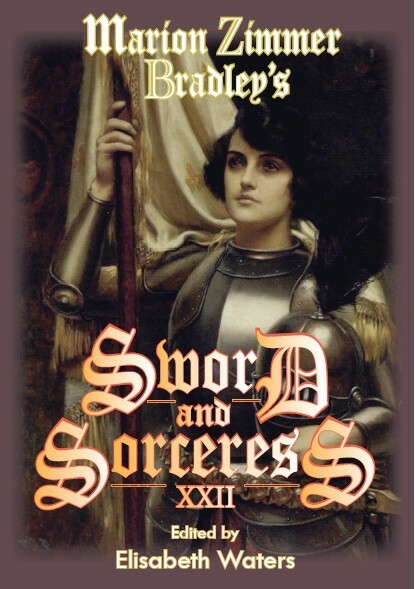 Here are nineteen original stories of remarkable women of power, swashbuckling and magic, spells and duels, arcane sorcery and fabled heroism, written by familiar story-spinners of excitement and adventure, and bright newcomers who are sure to become favorites. We are proud to continue the classic and vibrant feminist tradition with this twenty-fifth volume of new magical adventures edited by Elisabeth Waters, secretary and co-editor to Mrs. Bradley. 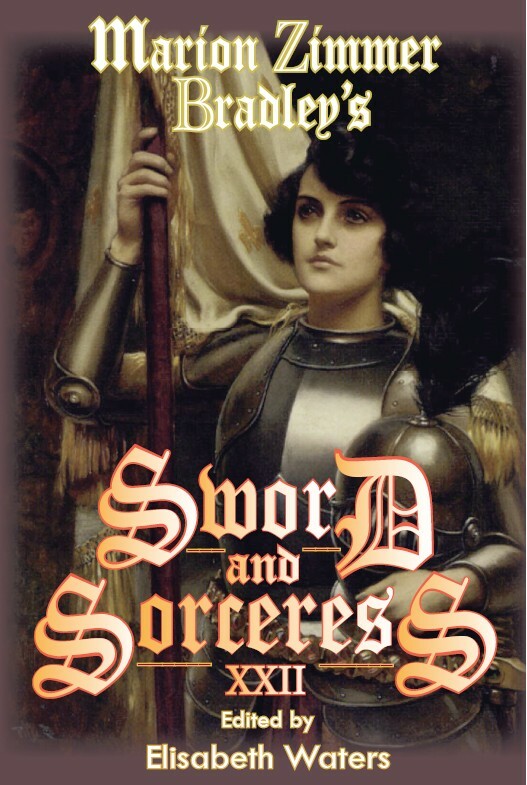 Here are twenty original stories of remarkable women of power, swashbuckling and magic, spells and duels, arcane sorcery and fabled heroism, written by familiar word-weavers of excitement and adventure, and bright newcomers who are sure to become favorites. Story cavorts with style. The result is a cornucopia of modern cutting-edge fantasy. 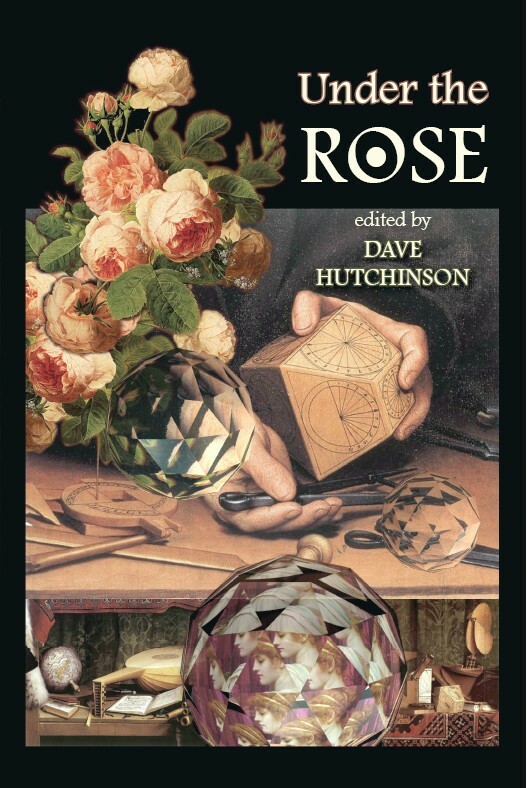 The third volume of this extraordinary annual anthology series of fantastic literature dares to surpass the first two, with works that sidestep expectations in beautiful and unsettling ways, that surprise with their settings and startle with the manner in which they cross genre boundaries, that aren't afraid to experiment with storytelling techniques, and yet seamlessly blend form with meaningful function. The effervescent offerings found within these pages come from some of today's most distinguished contemporary fantasists and brilliant rising newcomers. Whether it's a touch of literary erudition, playful whimsy, extravagant style, or mind-blowing philosophical speculation and insight, the reader will be led into unfamiliar territory, there to find shock and delight. 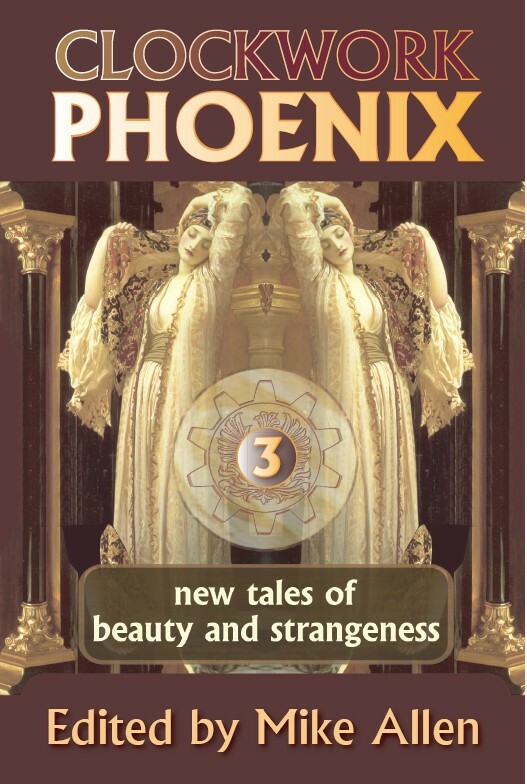 "Allen's third volume of extraordinary short stories reaches new heights of rarity and wonder . . . 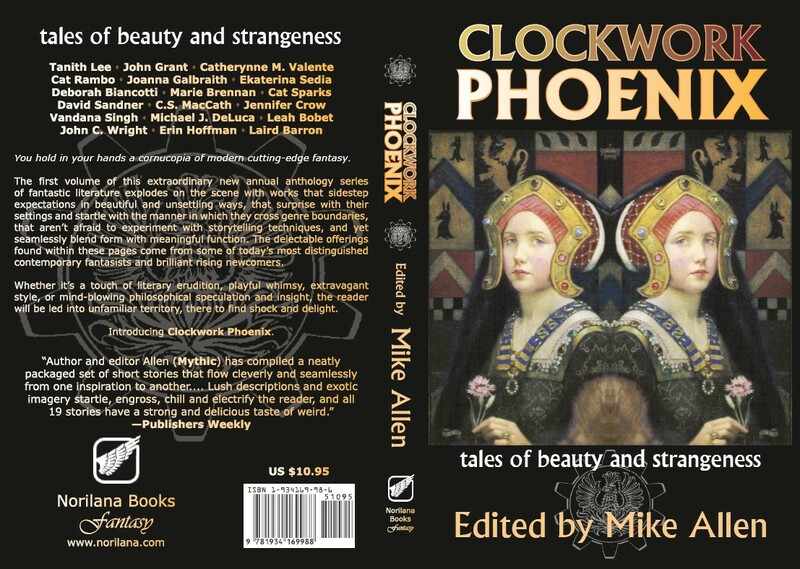 Without a wrong note, all the stories in this anthology admirably fulfill Allen's promise of 'beauty and strangeness.'" Marie Brennan, Tori Truslow, Georgina Bruce, Michael M. Jones, Gemma Files, Shweta Narayan, Cat Rambo, Nicole Kornher-Stace, C.S.E. Cooney, S.J. Hirons, Gregory Frost, Kenneth Schneyer, John C. Wright, John Grant, and Tanith Lee. 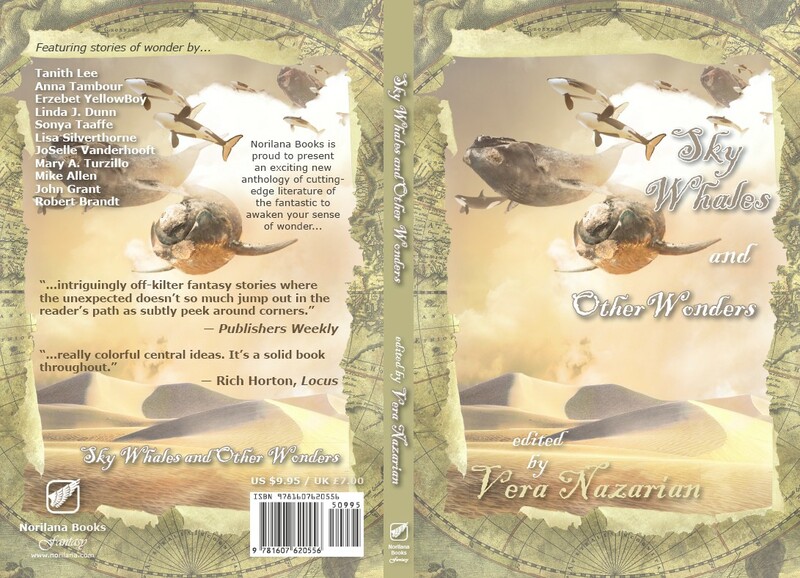 Norilana Books is proud to present an exciting new anthology of cutting-edge literature of the fantastic to awaken your sense of wonder . . .
". . . intriguingly off-kilter fantasy stories where the unexpected doesn't so much jump out in the reader's path as subtly peek around corners." ". . . really colorful central ideas. It's a solid book throughout." 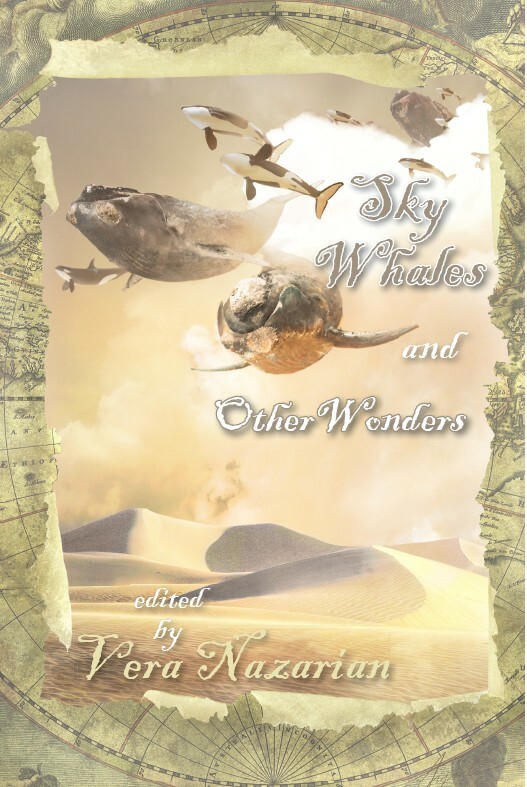 Featuring stories of wonder by Tanith Lee, Anna Tambour, Erzebet YellowBoy, Linda J. Dunn, Sonya Taaffe, Lisa Silverthorne, JoSelle Vanderhooft, Mary A. Turzillo, Mike Allen, John Grant, and Robert Brandt. "Sky Whales" © 2009 by Ahyicodae. Women of Chivalry and Prophecy . 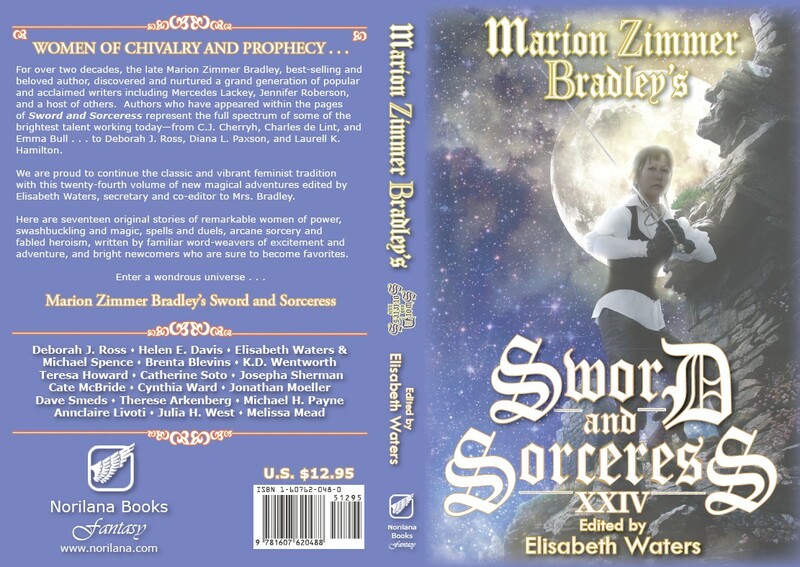 . .
For over two decades, the late Marion Zimmer Bradley, best-selling and beloved author, discovered and nurtured a grand generation of popular and acclaimed writers including Mercedes Lackey, Jennifer Roberson, and a host of others. Authors who have appeared within the pages of Sword and Sorceress represent the full spectrum of some of the brightest talent working todayfrom C.J. Cherryh, Charles de Lint, and Emma Bull . . . to Deborah J. Ross, Diana L. Paxson, and Laurell K. Hamilton. We are proud to continue the classic and vibrant feminist tradition with this twenty-fourth volume of new magical adventures edited by Elisabeth Waters, secretary and co-editor to Mrs. Bradley. 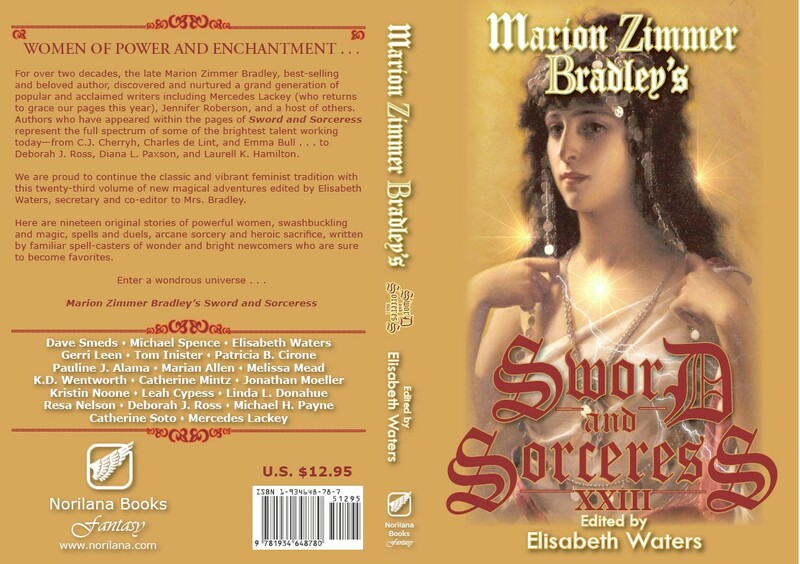 Here are seventeen original stories of remarkable women of power, swashbuckling and magic, spells and duels, arcane sorcery and fabled heroism, written by familiar word-weavers of excitement and adventure, and bright newcomers who are sure to become favorites. Enter a wondrous universe . . .
"Captain of the Guard" © 2009 by Ahyicodae. "One of the greatest dark fantasies ever writtenin any genre." Her bed is shadows . . .
Where will her lantern lead you? Know the most dangerous of all . . .
Rosemary Hawley Jarman was born in Worcester, England and came to fame in 1971 with her novel We Speak No Treason. 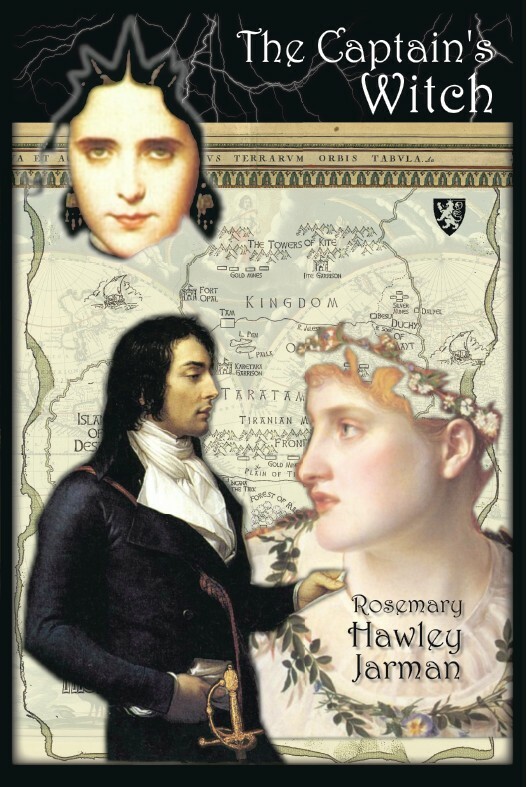 Reprinted many times, the book's hero is the much maligned King Richard III. It sold 30,000 copies in its first week of publication, and gained her the prestigious Author's Club Silver Quill for best first novel, while in the U.S.A. she was nominated as a Daughter of Mark Twain. 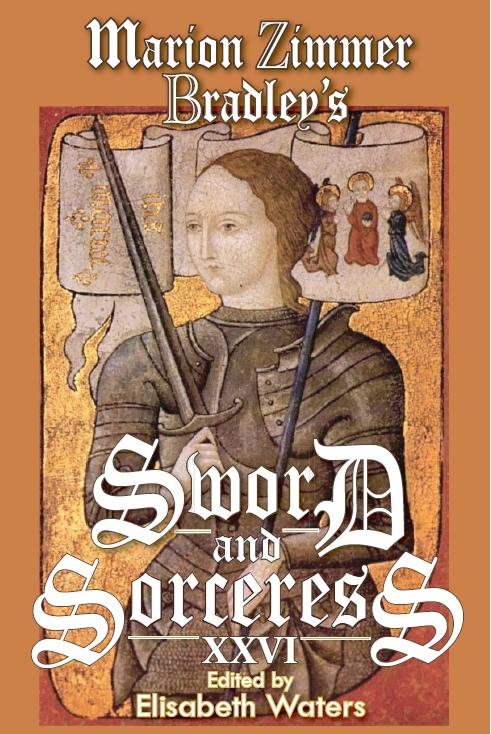 Further equally successful novels followed, also an illustrated account of the Battle of Agincourt. She lives in an antique stone cottage between sea and mountain in West Wales. 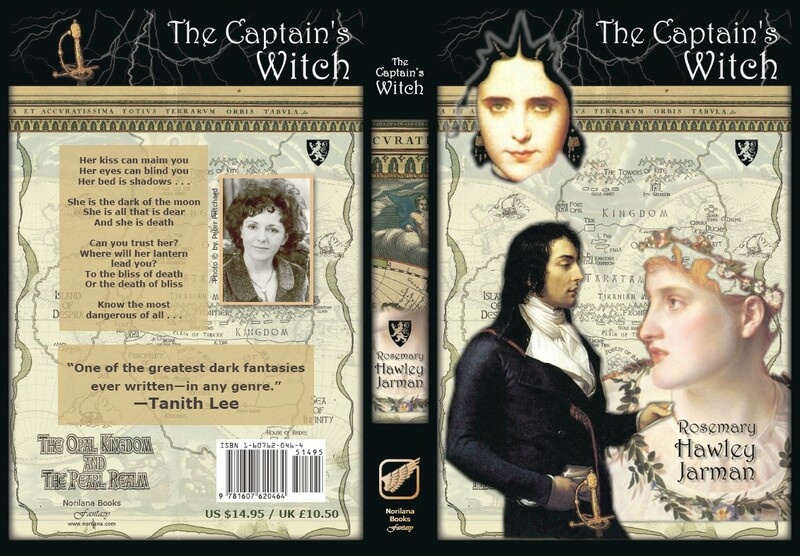 The Captain's Witch is her first fantasy novel, and she is now working on a sequel. We are proud to present a new anthology of cutting-edge speculative fiction from some of today's brightest literary talents. From fantasy to dark fantasy and horror to science fiction and the hard-to-categorize works of the imagination that fall somewhere in-between, there is something here to appeal to the most curious reader. "...a handful of real gems." Pauline E Dungate, Tim Lieder, William John Watkins, Mel Sterling, Jean Graham, Ken Rand, Teri Smith, Liza Granville, Ralan Conley, Stuart Jaffe, CL Russo, James Targett, Ren Holton, Donna Scott, Justin Stanchfield, Lou Anders and Chris Roberson, Ian Whates, Gaie Sebold, Jean Tschohl Quinn, Angel Arango, Ekaterina Sedia, Edwina Harvey, Sarah Totton, William R Eakin, Uncle River, and John Grant. Dave Hutchinson was born in Sheffield in 1960. He's the author of the novel The Villages and the short-story collections Thumbprints, Fools Gold, Torn Air, The Paradise Equation and As The Crow Flies. He's the co-editor (with John Grant) of Strange Pleasures 2 and the editor of Strange Pleasures 3. His short stories have appeared in Interzone, SciFiction, Revolution SF, Infinity Plus, Live Without A Net (Lou Anders, ed.) Celebration (Ian Whates, ed.) and Subterfuge (Ian Whates, ed.) He lives in London. Story marries style. The result is a cornucopia of modern cutting-edge fantasy. The second volume of this extraordinary new annual anthology series of fantastic literature dares to surpass the first, with works that sidestep expectations in beautiful and unsettling ways, that surprise with their settings and startle with the manner in which they cross genre boundaries, that aren't afraid to experiment with storytelling techniques, and yet seamlessly blend form with meaningful function. The effervescent offerings found within these pages come from some of today's most distinguished contemporary fantasists and brilliant rising newcomers. 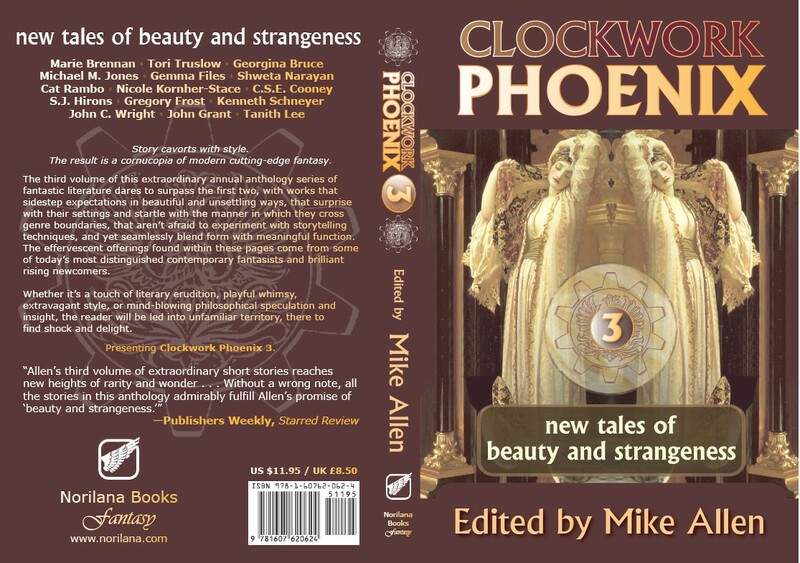 "Allen finds his groove for this second annual anthology of weird stories, selecting 16 wonderfully evocative, well-written tales... Each story fits neatly alongside the next, and the diversity of topics, perspectives and authors makes this cosmopolitan anthology a winner." "This second volume in a new annual anthology series will appeal to fantasy readers who enjoy short stories." Claude Lalumi�re - "Three Friends"
Marie Brennan - "Once a Goddess"
Ian McHugh - "Angel Dust"
Ann Leckie - "The Endangered Camp"
Mary Robinette Kowal - "At the Edge of Dying"
Saladin Ahmed - "Hooves and the Hovel of Abdel Jameela"
Joanna Galbraith - "The Fish of Al-Kawthar's Fountain"
Catherynne M. Valente - "The Secret History of Mirrors"
Forrest Aguirre - "Never nor Ever"
Gemma Files and Stephen J. Barringer - "each thing I show you is a piece of my death"
Kelly Barnhill - "Open the Door and the Light Pours Through"
Barbara Krasnoff - "Rosemary, That's For Remembrance"
Steve Rasnic Tem - "When We Moved On"
You are familiar with the salt of the earth. But did you know there is an even finer, more delicate essence? Take wisdom and imagination, responsibility and beauty, and mix them together in arcane proportions to form a rich and peculiar brine. The resulting water of life is an emotional muddy liquid, filled with existential sediment swirling in the light of secret reality and reflecting prismatic colors of hope and wonder. If allowed to evaporateescape, flee, ascend into the ether and join the music of the sphereswhat remains is the quintessence; a precious concentrate that is elusive and volatile, neither fully solid nor so illusory as to be devoid of pithy substance. 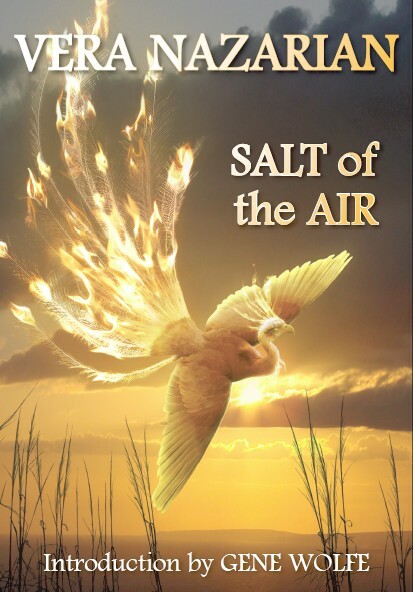 It is the Salt of the Air. Don't be afraid of ingesting ethereal salt. Open your mind and inhale. "Cautionary, sensual stories of love, reversal and revenge upend fairy tale conventions in Nazarian's lush collection... Sumptuous detail, twisty plots and surprising endings lift these extravagant tales." 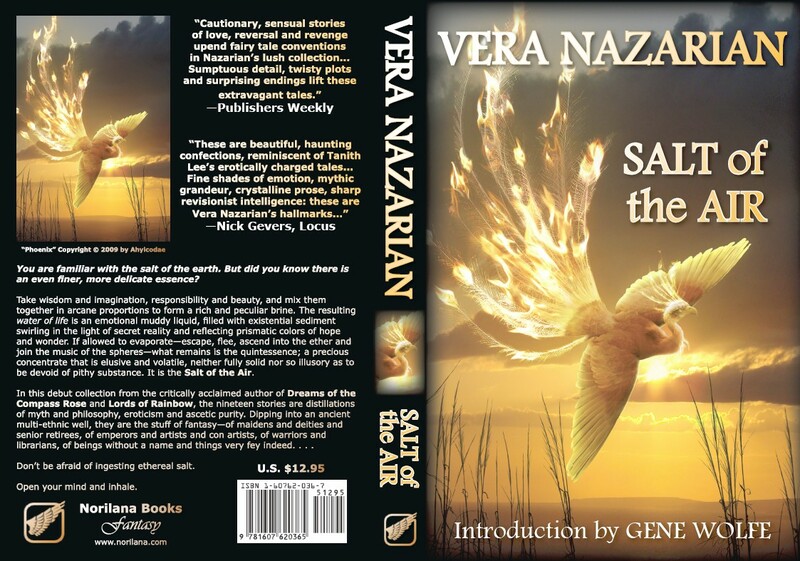 "These are beautiful, haunting confections, reminiscent of Tanith Lee's erotically charged tales... Fine shades of emotion, mythic grandeur, crystalline prose, sharp revisionist intelligence: these are Vera Nazarian's hallmarks..."
Vera Nazarian immigrated to the USA from the former USSR as a kid, sold her first story at the age of 17, and since then has published numerous works in anthologies and magazines, and has seen her fiction translated into eight languages. She made her novelist debut with the critically acclaimed novel Dreams of the Compass Rose, followed by epic fantasy about a world without color, Lords of Rainbow. Her novella The Clock King and the Queen of the Hourglass with an introduction by Charles de Lint made the Locus Recommended Reading List for 2005. 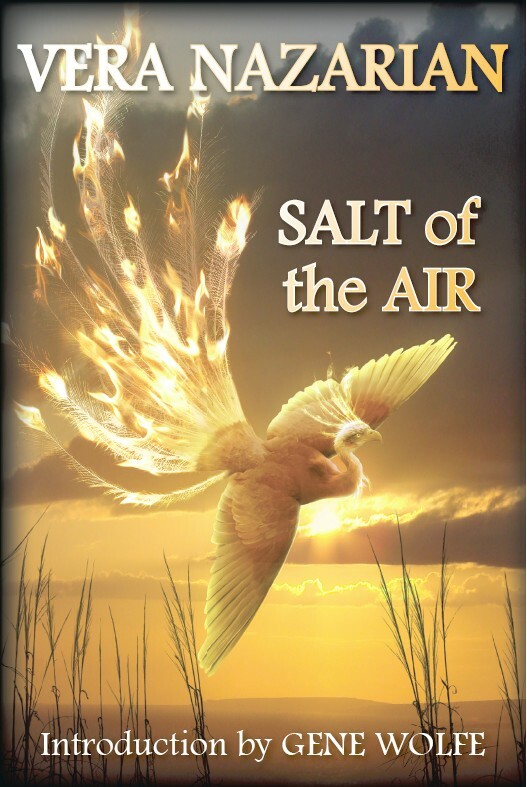 This first collection Salt of the Air, with an introduction by Gene Wolfe, contains the 2007 Nebula Award-nominated "The Story of Love." 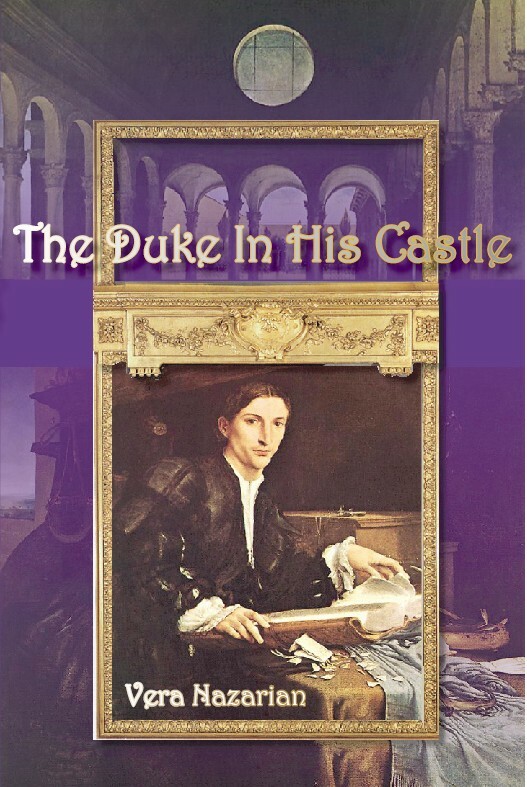 Recent work includes the 2008 Nebula Award-nominated, baroque novella The Duke in His Castle. Ancient myth, moral fables, eclectic philosophy, and her Armenian and Russian ethnic heritage play a strong part in all her work, combining the essences of things and places long gone into a rich evocation of wonder. In addition to being a writer and award-winning artist, she is also the publisher of Norilana Books. "Phoenix" © 2009 by Ahyicodae. White Peacock Stock © 2009 MapleRose. Enchantment, peril and romance pervade the shadowy Far East, from the elegant throne room of the emperor's palace to the humble teahouse of a peasant village. 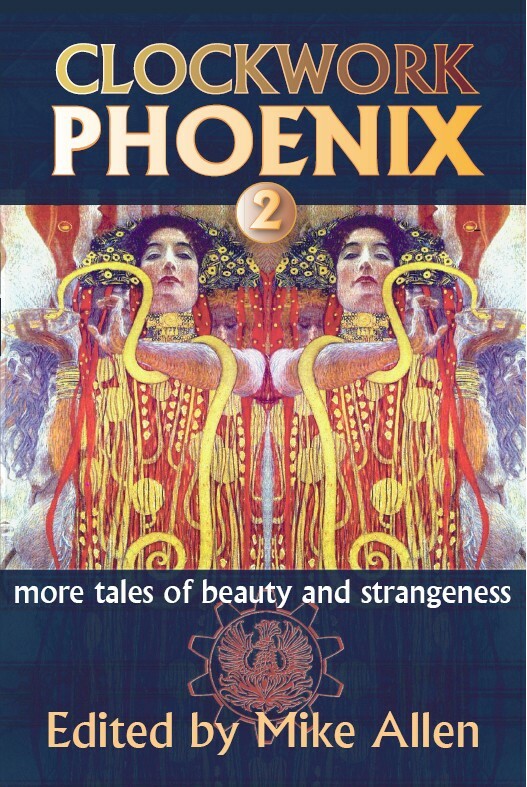 In these dozen stories of adventure and magic from the Orient, a maiden encounters an oni demon in the forest, a bride discovers her mother-in-law is a fox woman, a samurai must appease his sister's angry ghost, strange luck is found in a jade locket, and dark and light are two sides of harmony. A striking debut collection from Eugie Foster. "Whimsy and maliceyesalso mystery, a very female sensuality, and wit. 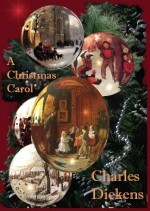 An elegant and entertaining book." 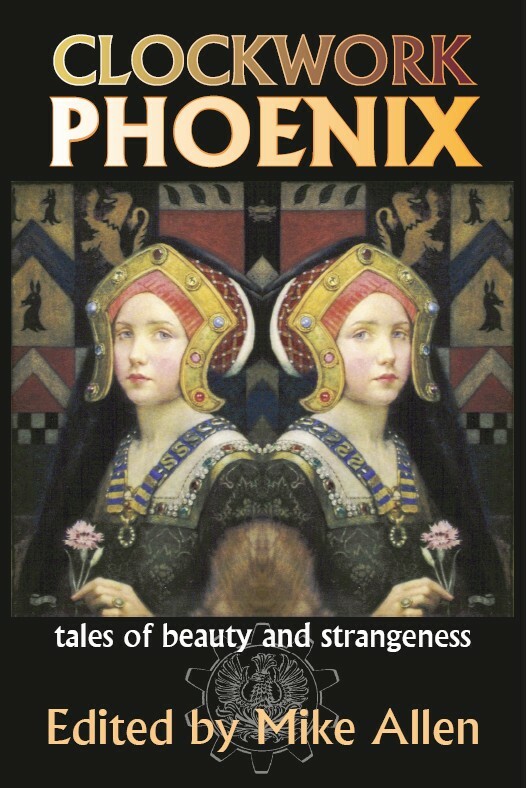 "The tales are beautifully written, elegant, passionate, funny, and moving. The entire collection is a delightful, magical bridge across cultures. I hope many readers find their way to it." 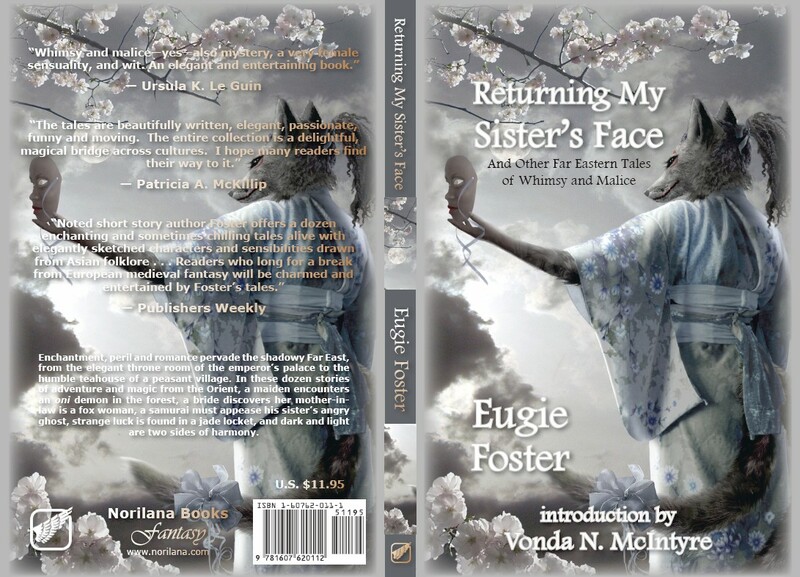 "Noted short story author Foster offers a dozen enchanting and sometimes chilling tales alive with elegantly sketched characters and sensibilities drawn from Asian folklore . . . Readers who long for a break from European medieval fantasy will be charmed and entertained by Foster's tales." Eugie Foster calls home a mildly haunted, fey-infested house in metro Atlanta that she shares with her husband, Matthew, and her pet skunk, Hobkin. After receiving her master's degree in Psychology, she retired from academia and became a corporate computer drone. When her company asked her to leave the phantoms and fairies in the South and return to the dead-cold lands of the Midwest, she said "no" and retreated to her library to pen flights of fancy. Eugie's fiction has been translated into Greek, Hungarian, Polish, and French; received the Phobos Award; and been nominated for the British Fantasy, Bram Stoker, and Pushcart awards. Her publication credits number over 100 and include stories in Realms of Fantasy, Interzone, Cricket, Cicada, Fantasy Magazine, Orson Scott Card's InterGalactic Medicine Show, Jim Baen's Universe, and anthologies Best New Fantasy (Prime Books), Heroes in Training (DAW Books), Magic in the Mirrorstone (Mirrorstone Books), and Best New Romantic Fantasy 2 (Juno Books). Visit her online at www.EugieFoster.com. "Kitsune" © 2009 by Ahyicodae. Women of Power and Enchantment . 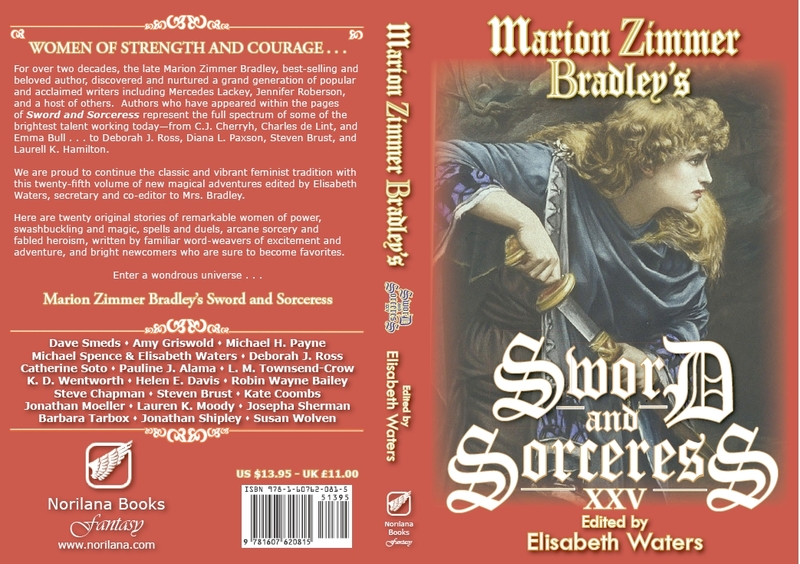 . .
For over two decades, the late Marion Zimmer Bradley, best-selling and beloved author, discovered and nurtured a grand generation of popular and acclaimed writers including Mercedes Lackey (who returns to grace our pages this year), Jennifer Roberson, and a host of others. Authors who have appeared within the pages of Sword and Sorceress represent the full spectrum of some of the brightest talent working todayfrom C.J. Cherryh, Charles de Lint, and Emma Bull . . . to Deborah J. Ross, Diana L. Paxson, and Laurell K. Hamilton. We are proud to continue the classic and vibrant feminist tradition with this twenty-third volume of new magical adventures edited by Elisabeth Waters, secretary and co-editor to Mrs. Bradley. 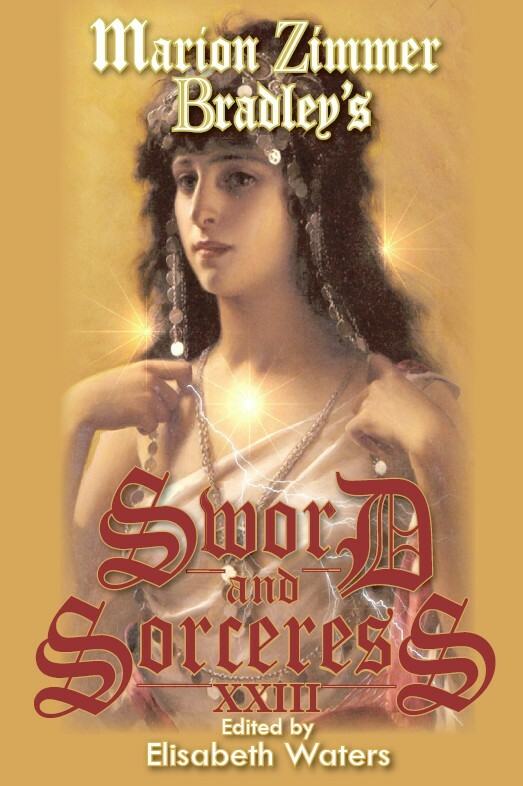 Here are nineteen original stories of powerful women, swashbuckling and magic, spells and duels, arcane sorcery and heroic sacrifice, written by familiar spell-casters of wonder and bright newcomers who are sure to become favorites. You hold in your hands a cornucopia of modern cutting-edge fantasy. The first volume of this extraordinary new annual anthology series of fantastic literature explodes on the scene with works that sidestep expectations in beautiful and unsettling ways, that surprise with their settings and startle with the manner in which they cross genre boundaries, that aren't afraid to experiment with storytelling techniques, and yet seamlessly blend form with meaningful function. The delectable offerings found within these pages come from some of today's most distinguished contemporary fantasists and brilliant rising newcomers. 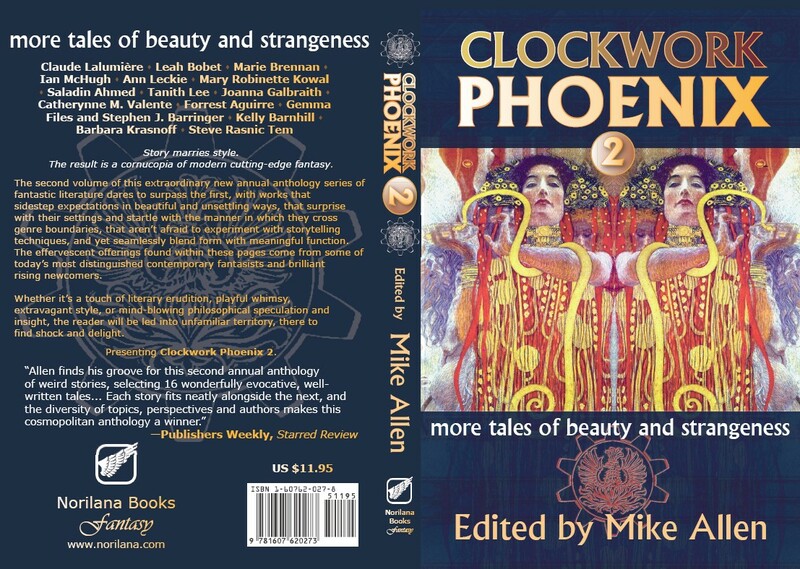 "Author and editor Allen (Mythic) has compiled a neatly packaged set of short stories that flow cleverly and seamlessly from one inspiration to another.... Lush descriptions and exotic imagery startle, engross, chill and electrify the reader, and all 19 stories have a strong and delicious taste of weird." Catherynne M. Valente - "The City of Blind Delight"
David Sandner - "Old Foss is the Name of His Cat"
John Grant - "All the Little Gods We Are"
Cat Rambo - "The Dew Drop Coffee Lounge"
Leah Bobet - "Bell, Book and Candle"
Michael J. DeLuca - "The Tarrying Messenger"
Laird Barron - "The Occultation"
Ekaterina Sedia - "There Is a Monster Under Helen's Bed"
Tanith Lee - "The Woman"
Marie Brennan - "A Mask of Flesh"
Jennifer Crow - "Seven Scenes from Harrai's Sacred Mountain"
Vandana Singh - "Oblivion: A Journey"
John C. Wright - "Choosers of the Slain"
C.S. MacCath - "Akhila, Divided"
Joanna Galbraith - "The Moon-Keeper's Friend"
Deborah Biancotti - "The Tailor of Time"
Erin Hoffman - "Root and Vein"
And now, a 2008 Nebula Award Finalist. 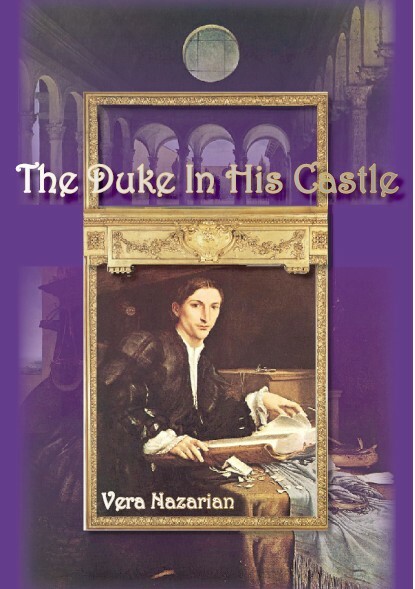 Rossian, the young Duke of Violet, wastes away in mad solitude, unable to leave the confines of his decadent castle grounds because of a mysterious invisible barrier...until a strange female intruder arrives at the castle bearing a box of bones. 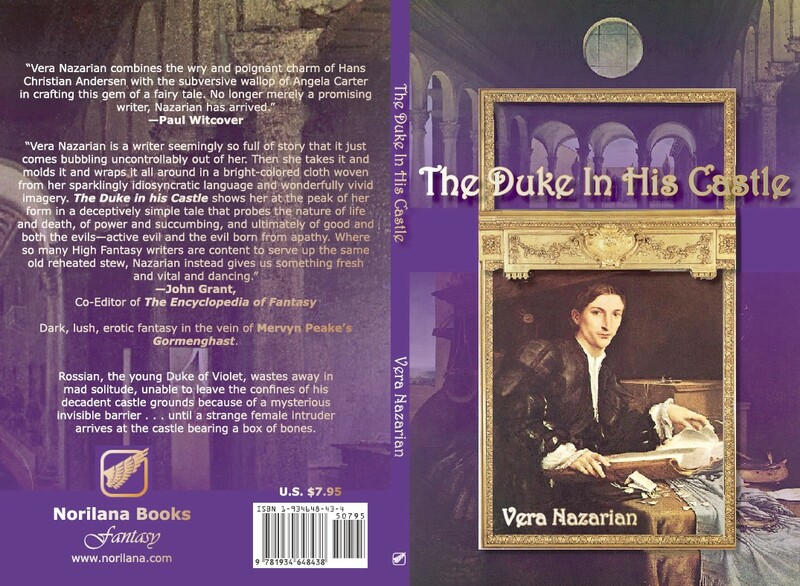 "Vera Nazarian's superb novella The Duke in His Castle uses the form of a classic fairy tale or fable to explore the psychology of good, evil, ennui, and despair in terms that are anything but black and white.... a sequence of moving, disturbing, sensual dialogs and encounters that change the very concept of power, from the acts of gods or great mages to something more subtle that may lie within human grasp." "The Duke in His Castle is philosophy couched in a fairy tale couched in a murder mystery tinged with children's games. It's a kaleidoscope of thought and emotion, the howling winds of despair, and the sometimes soft, sometimes fierce flow of life. Not only is it quickly absorbing and a quick read, but it sits up and begs for repeat visits..."
For over two decades, the late Marion Zimmer Bradley, best-selling and beloved author, discovered and nurtured a grand generation of popular and acclaimed authors including Mercedes Lackey, Jennifer Roberson, and a host of others. Authors who have appeared within the pages of Sword and Sorceress represent the full spectrum of some of the brightest talent working todayfrom C.J. Cherryh, Charles de Lint, and Emma Bull . . . to Laurell K. Hamilton, Diana L. Paxson, and. Deborah J. Ross. We are proud to continue the classic and vibrant feminist tradition with this new volume, edited by Elisabeth Waters, secretary and co-editor to Mrs. Bradley. 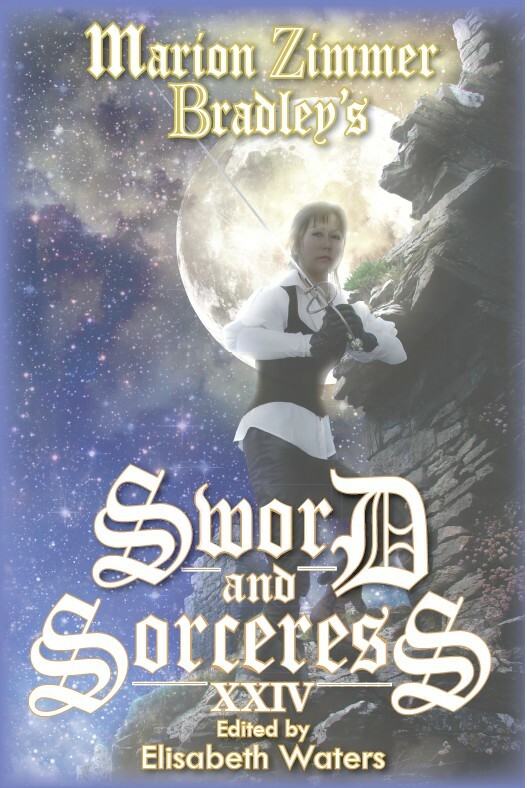 Here are sixteen original stories of powerful women, swashbuckling and magic, spells and duels, arcane sorcery and heroic sacrifice, written by familiar spell-weavers of adventure and bright newcomers who are sure to become favorites. "From Esther M. Friesner's heartfelt tale of a woman's choice to do right rather than uphold tradition . . . to Sarah Dozier's fiction debut about a unique way to end a war . 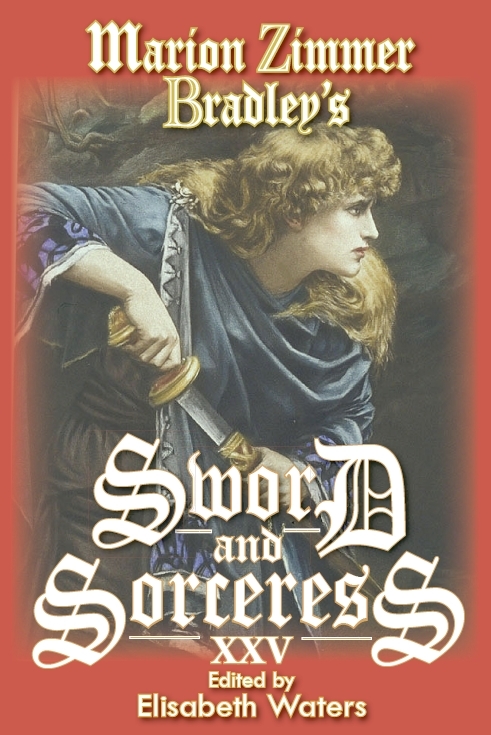 . . these 16 original stories demonstrate the unending variety of tales featuring women of might and magic . 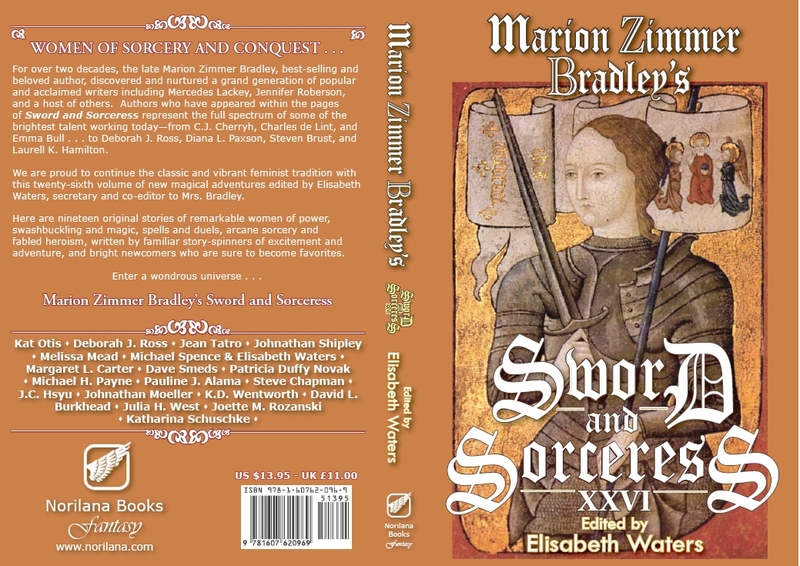 . . this well-balanced anthology edited by the late Marion Zimmer Bradley's longtime associate Waters belongs in most libraries."